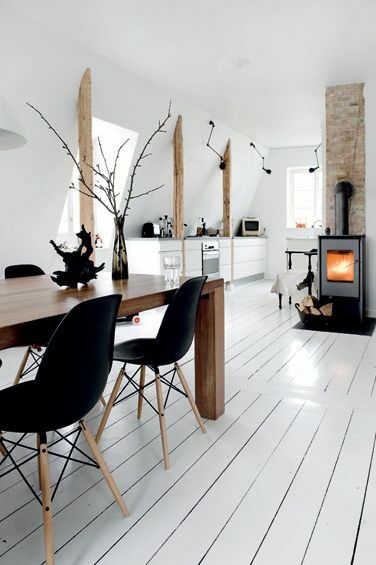 Once again I collected some of the images related to mostly dining room spaces which caught my eye while searching the web. 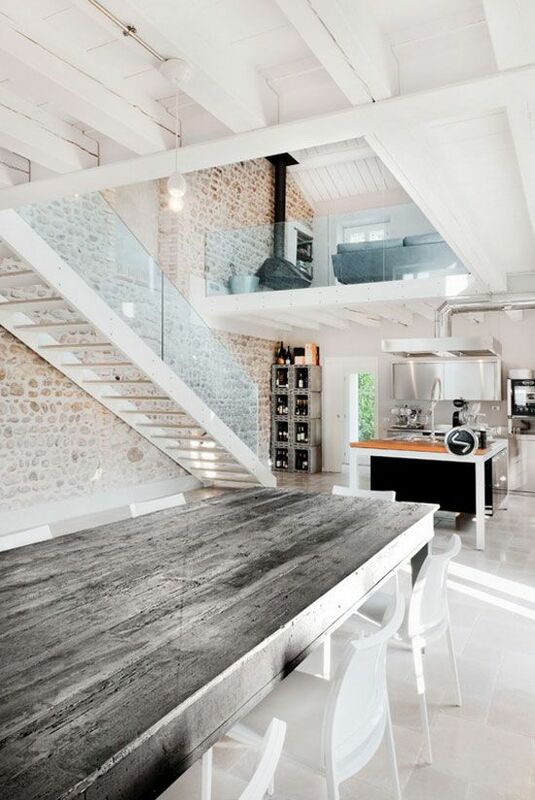 Winter is not over but maybe you’re already considering some spring-cleaning and renovating time and not really sure which way to take. 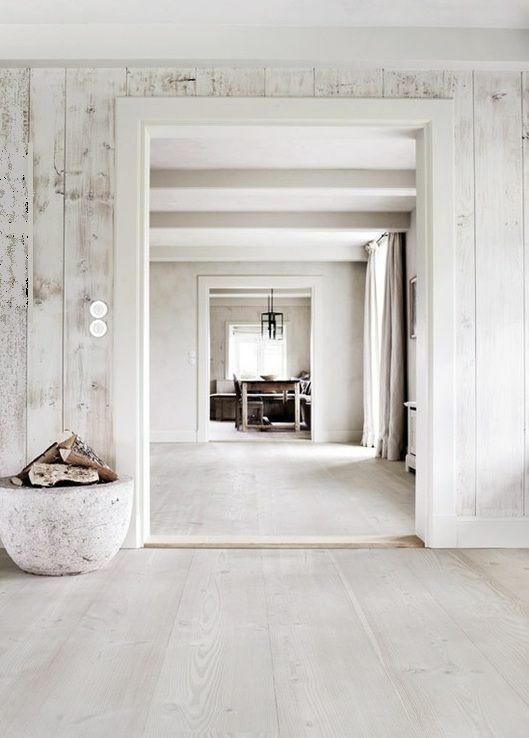 Here are some guidelines for those who prefer whites, minimalistic and rustic touch. 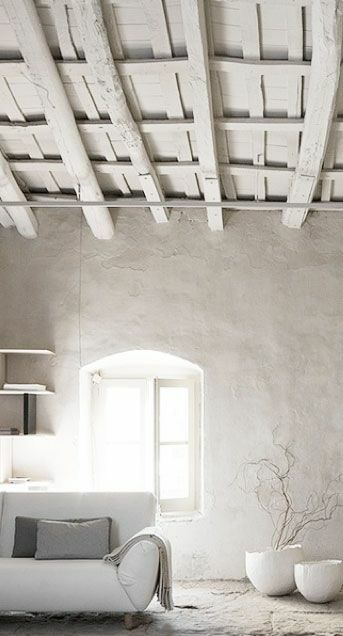 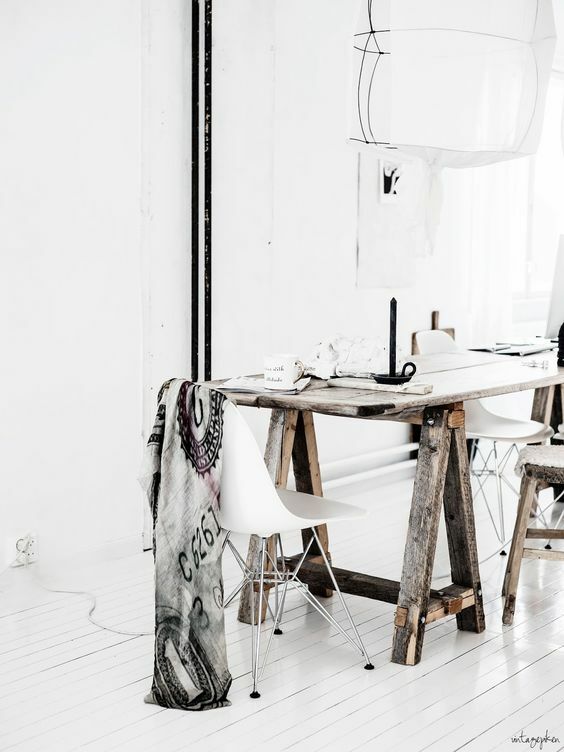 If you want to accomplish a vintage minimalistic yet impeccable look for your interior go for whitewashed wooden walls. 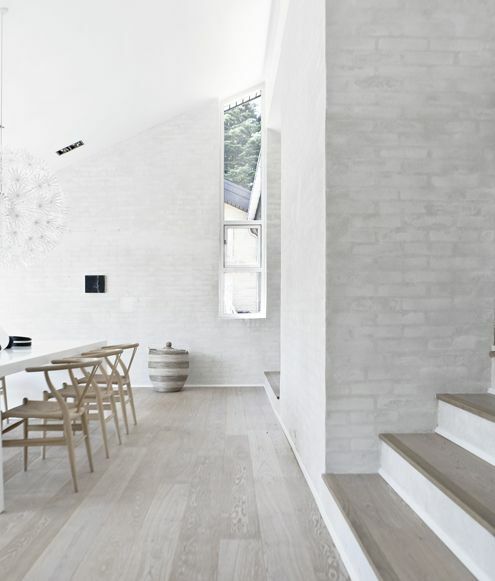 Whitewashed concrete walls combined with white wooden ceiling and simple incorporated elements create a calm, airy space. 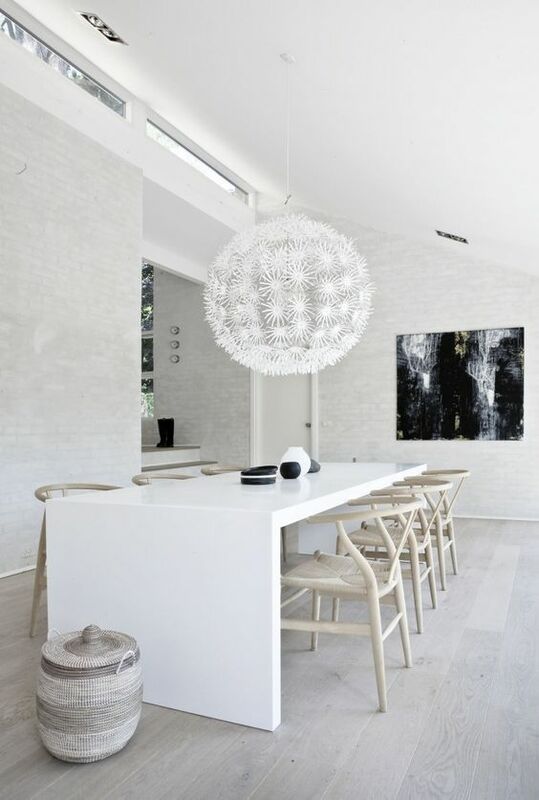 Scandinavian inspired white dining space with elegant wooden chairs and white wooden floor. 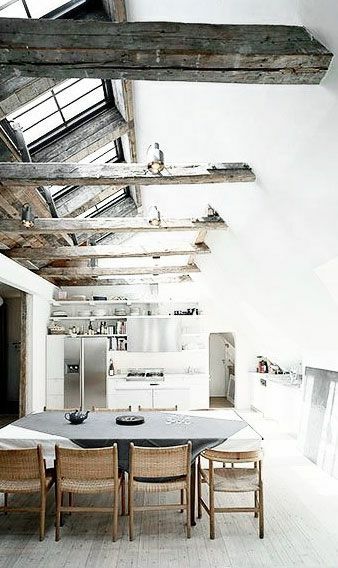 Black and white colour scheme with installed beams from reclaimed wood is a fantastic combination that gives this dining room and kitchen a warm, cozy feeling.